Daisy Gives This One A Ten!! 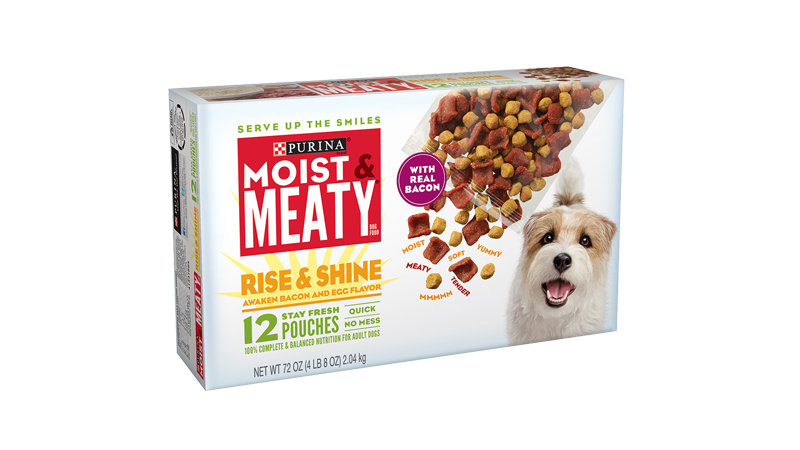 My Jack Russell is 12 years old and was having trouble eating dry dog food so I bought Moist &amp;amp; Meaty. She likes them all but the Rise and Shine is her favorite! The only downside is this variety is not widely available in my town so I have to order it.